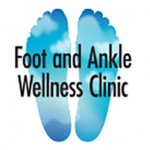 A podiatrist is a physician (also commonly known as a foot doctor) dedicated to the medical and surgical treatment of foot and ankle disorders for people of all ages and activity levels. 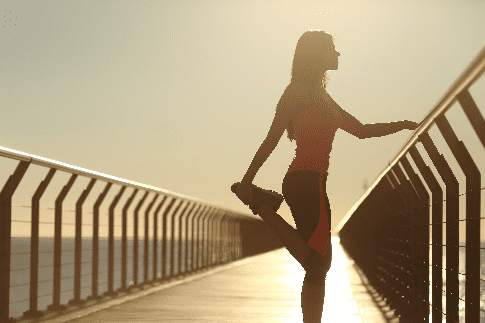 Training includes education in all systems of the body in order to provide a comprehensive treatment plan. Podiatrists can manage and treat foot problems which pose an ongoing threat to a patient’s health. Such conditions include diabetes, arthritis, and cardiovascular disease. Podiatrists work closely with internists and specialists involved in a patient’s overall healthcare. Foot doctors are uniquely qualified to detect warning signs in the early stages of the disease in the lower extremities. To diagnose a foot problem, podiatrists may take x-rays and order laboratory tests. The foot may be the first area to show signs of serious conditions such as arthritis, diabetes, and heart disease. For example, diabetics are prone to foot ulcers and infections due to poor circulation and lack feeling in feet. Podiatrists consult with and refer patients to other health practitioners when they detect signs of these disorders. 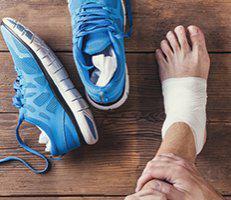 Podiatrists treat corns, calluses, ingrown toenails, bunions, heel spurs, and arch problems; ankle and foot injuries, deformities, and infections; and foot complaints associated with diseases such as diabetes and gout. To treat these foot problems — podiatrists may prescribe medication, order physical therapy, set fractures, and perform surgery. They also fit custom-made corrective inserts called orthotics. Podiatrists need a State license that requires the completion of at least 90 hours of undergraduate study, the completion of a 4-year program at a college of podiatric medicine, and a postdoctoral residency program of at least two years. Colleges of podiatric medicine offer a four-year program where the curriculum is similar to other schools of medicine. During the first two years, podiatry students receive classroom instruction in basic sciences, including anatomy, chemistry, pathology, and pharmacology. Third and fourth-year students have clinical rotations in private practices, hospitals, and clinics. During rotations, they learn how to take general and podiatric histories, perform routine physical examinations, interpret tests and findings, diagnose, and perform therapeutic procedures. Graduates receive the degree of Doctor of Podiatric Medicine (DPM). Podiatrists excel in scientific aptitude, diagnostic skills, manual dexterity, interpersonal skills, and good business sense.